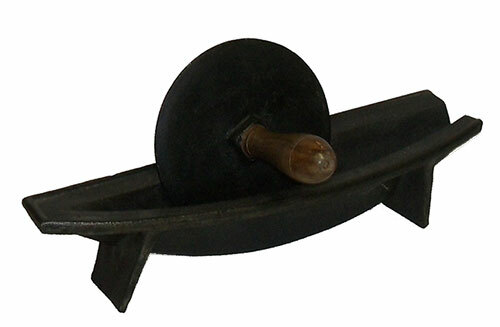 Sculptural and stylish, this 18th-century cast metal grinder, with an iron grinding disc with maple hardwood handles and a trough-like dish was used for cutting up herbs, vegetables and seasonings by rolling the sharpened circular blade back and forth. 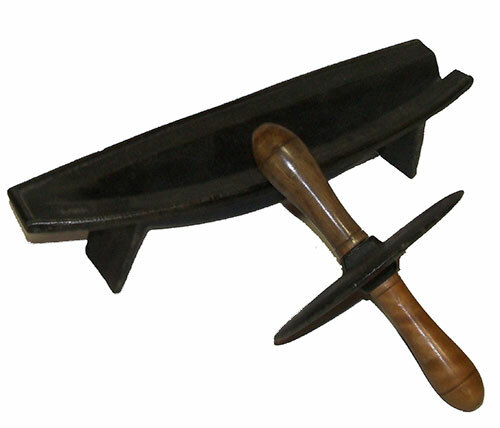 The base is of cast iron - the blade is forged and each end has a pouring spout. An item such as this would only be found in a well funded kitchen and therefore quite rare. Condition is excellent. 15 inches long.